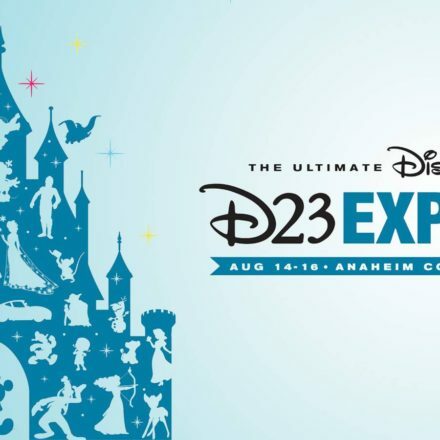 It’s been nearly a week now since the D23 Expo 2015 began and we’re all still recovering from all the news and memories made at the three-day long event. 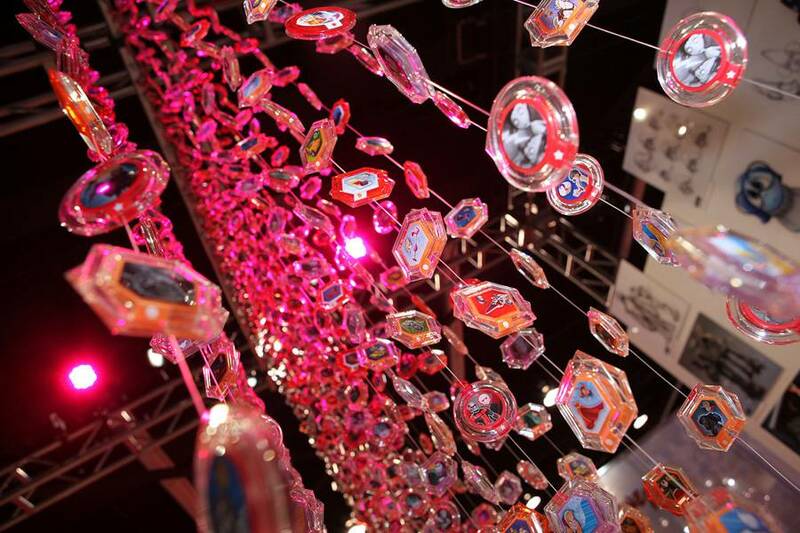 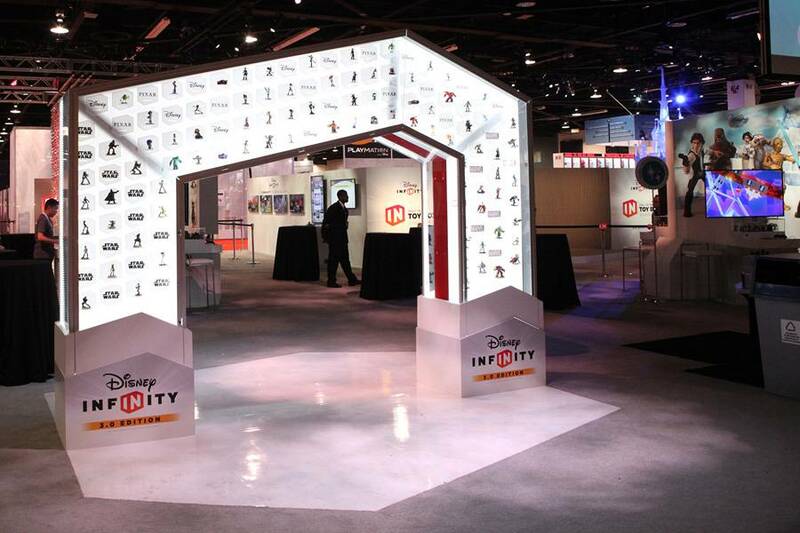 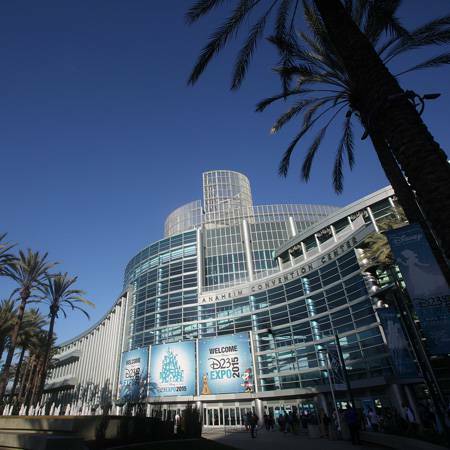 This marks the fourth D23 Expo, a company backed effort that began in 2009 and has been held every two years at the Anaheim Convention Center. 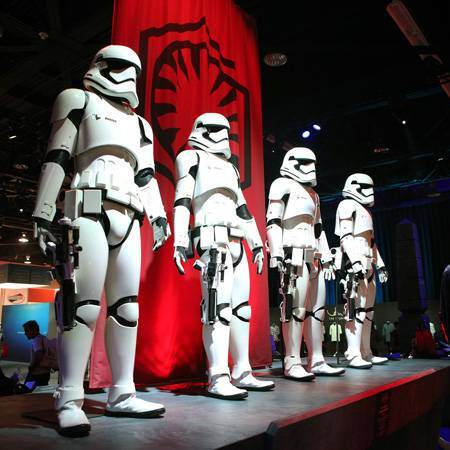 Where there was little to no Star Wars presence in 2013, it was an entirely different situation this year. 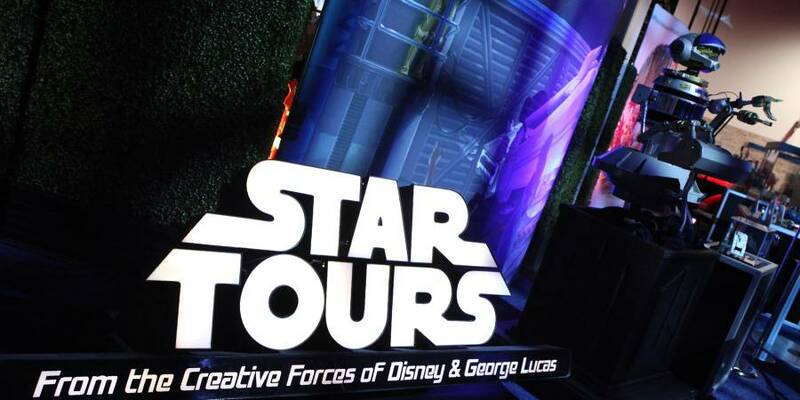 In case you couldn’t be there or were stuck in the line for the Disney Store, I’ll do my best to fill you in! 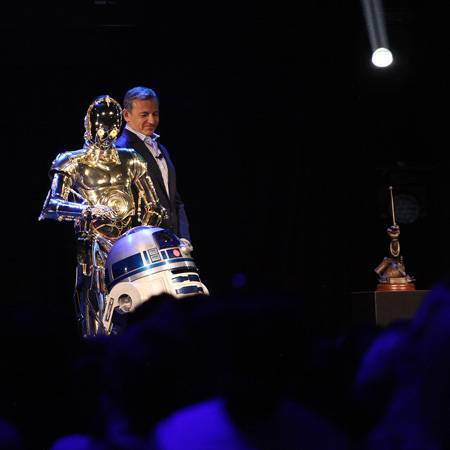 Of course the big news that kicked off Friday was the Disney Legends Awards, a celebration of talent from past and present that represent the Walt Disney Company in the best of ways and is the company’s highest honor. 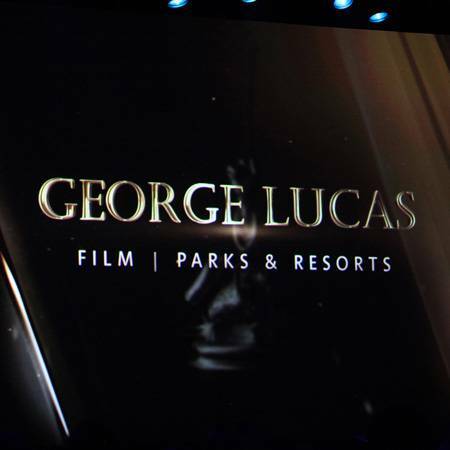 George Lucas was selected this year and it’s well deserved, having been involved with the theme parks with Captain EO, Star Tours, Indiana Jones Adventure, and many more. 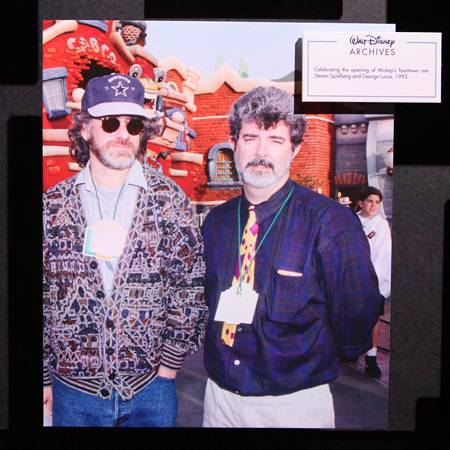 Lucas not only created Star Wars, but without him, Pixar would not exist neither, having been a division under Lucasfilm. 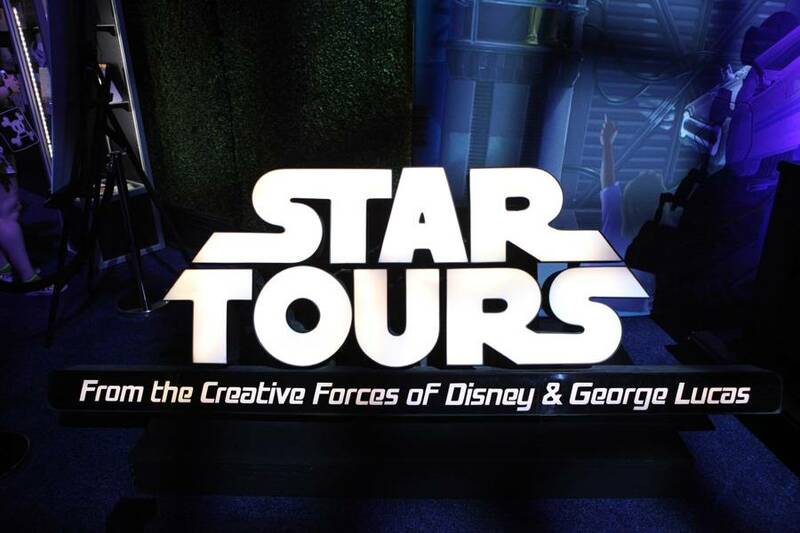 George touched upon how Walt Disney has inspired him ever since he was a little boy, having visited Disneyland on its second day of opening its gates and returning ever since. 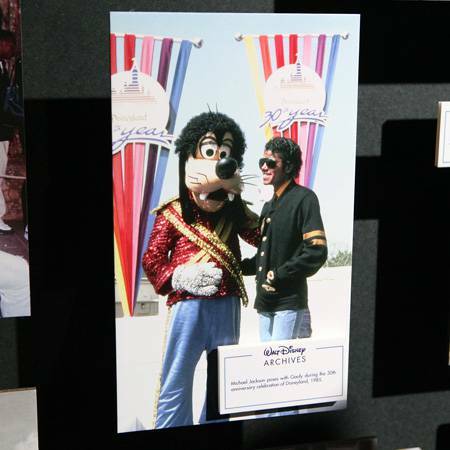 He also let the audience in on how Goofy was the actual inspiration for Jar Jar Binks. 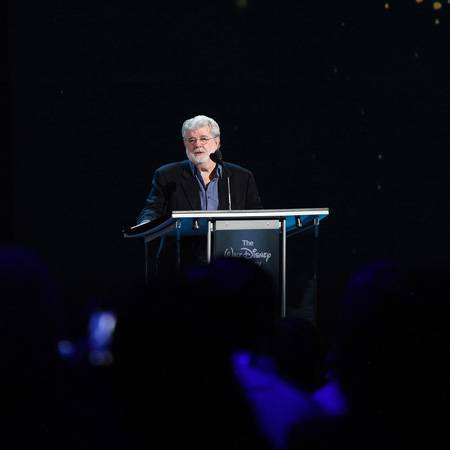 George Lucas was honored along with Johnny Depp, Danny Elfman, Andreas Deja, Carson Van Osten, Susan Lucci, Eyvind Earle, George Bodenheimer, and Julie Reihm Casaletto. 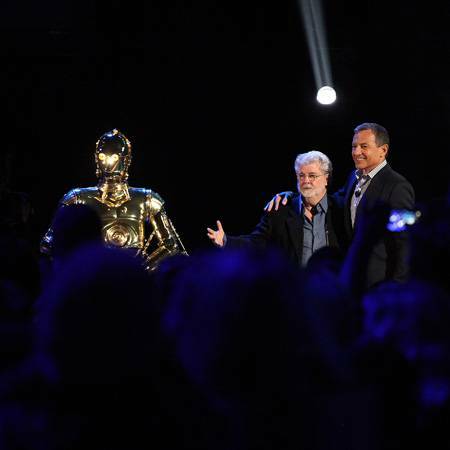 See George Lucas’ speech below. 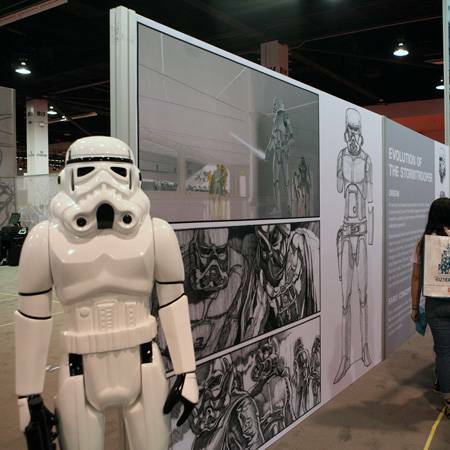 Walking the floor, there was a lot more Star Wars on display. 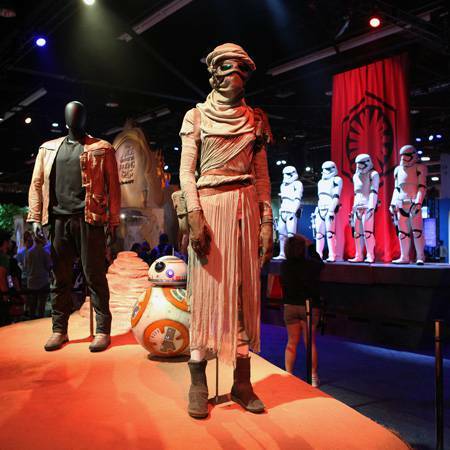 The Walt Disney Studios booth had several of the costumes from The Force Awakens out. 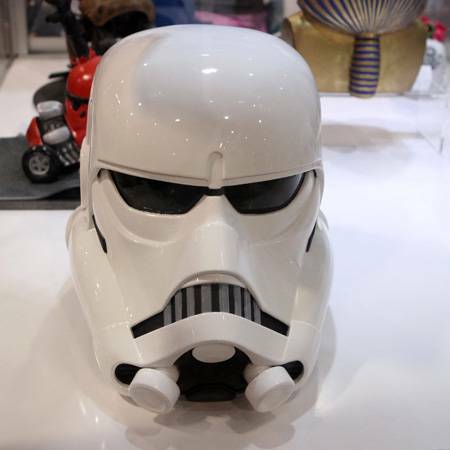 Over in the Disney Consumer Products booth, guests could take a look at the Evolution of a Stormtrooper display showing the stormtrooper in a variety of ways, both official as well as fan made. 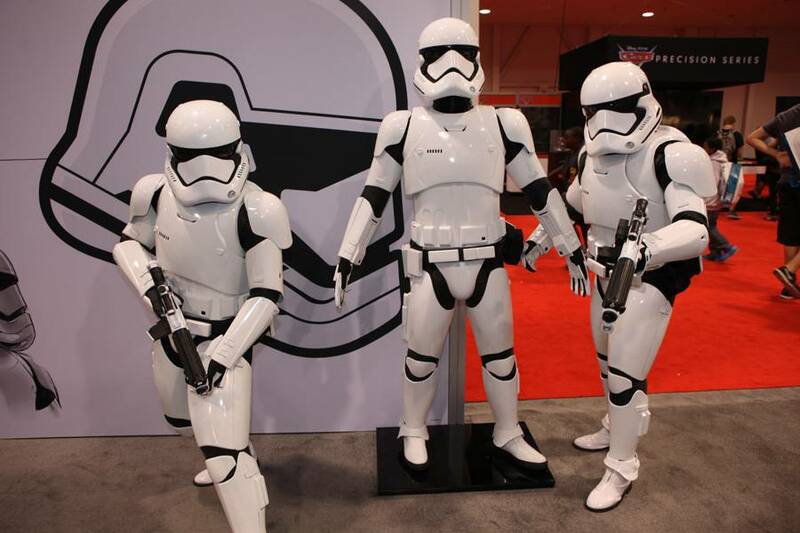 You can also pose with the First Order Stormtroopers, some are more alive than others. 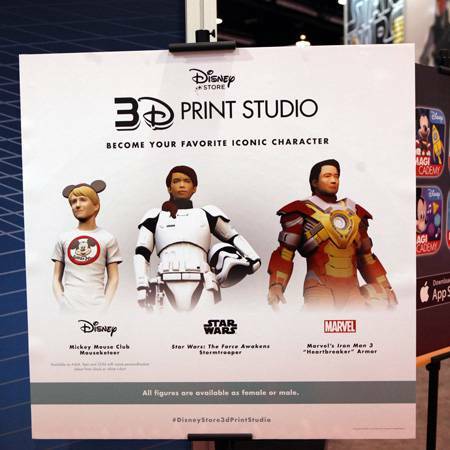 Also in the Consumer Products pavilion was a spot to become your favorite iconic character through the 3D Print Studio. 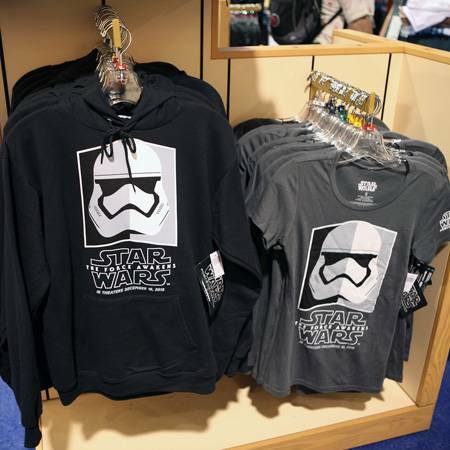 Choose to be a Mickey Mouse Club Mouseketeer, a Force Awakens Stormtrooper, or Iron Man. 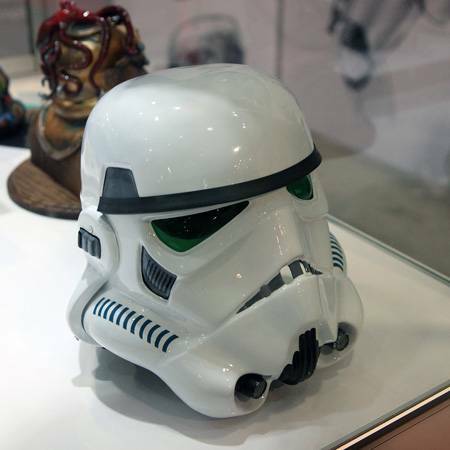 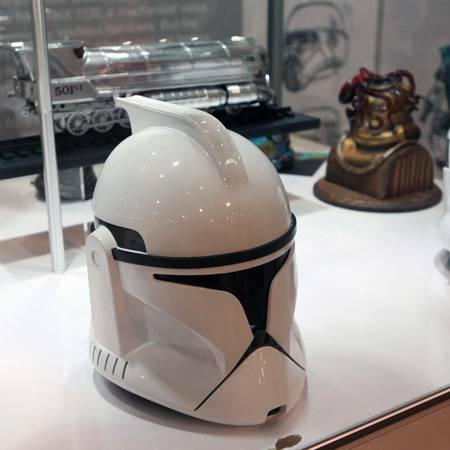 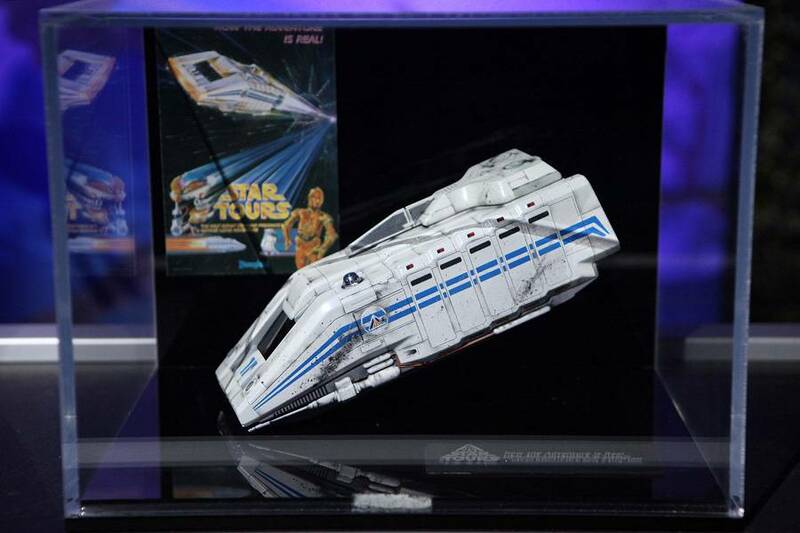 Prices aren’t cheap though, as it will run you $129.95 for the standard Stormtrooper, $999.95 for the premium. 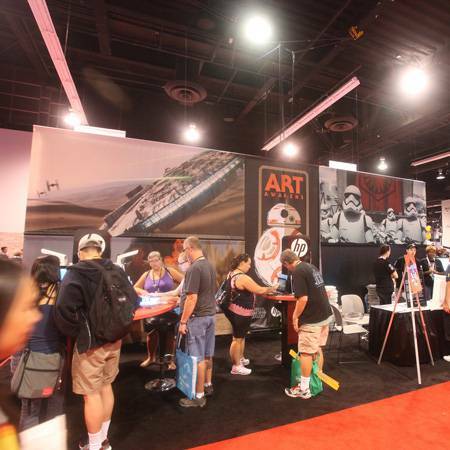 At the Art Awakens booth, sponsored by HP, fans can get exclusive Force Awakens art as well as the new Drew Struzan D23 Expo exclusive print. 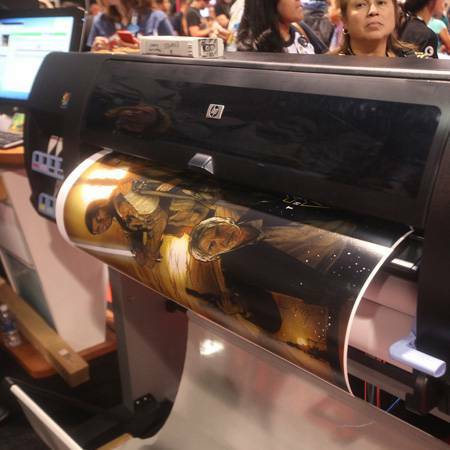 Only 100 were printed per day so it wasn’t easy. 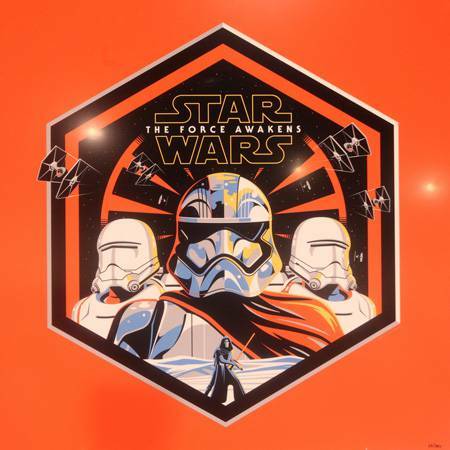 New “The Force Awakens” art by Mark Englert was also available at the Art Awakens booth in limited numbers. 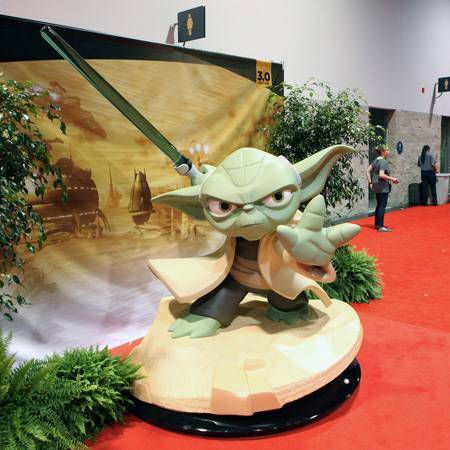 Disney Infinity 3.0 is launching in a big way this year, with three different Star War Toy Boxes and many of your favorite characters coming in figure form. 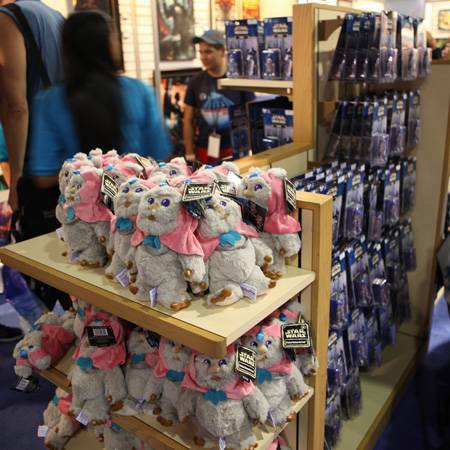 The booth allowed visitors to play the game and pre-order the set with a free Olaf. 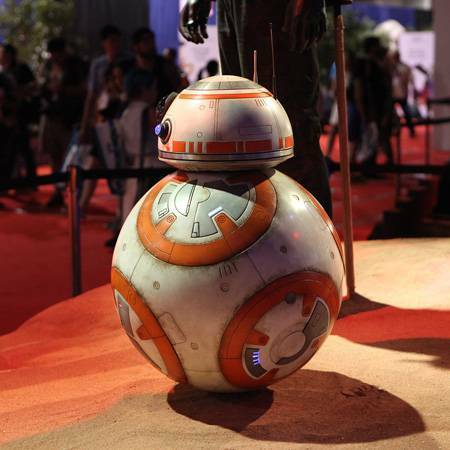 Many were able to go home with a new figure of their own just for visiting. 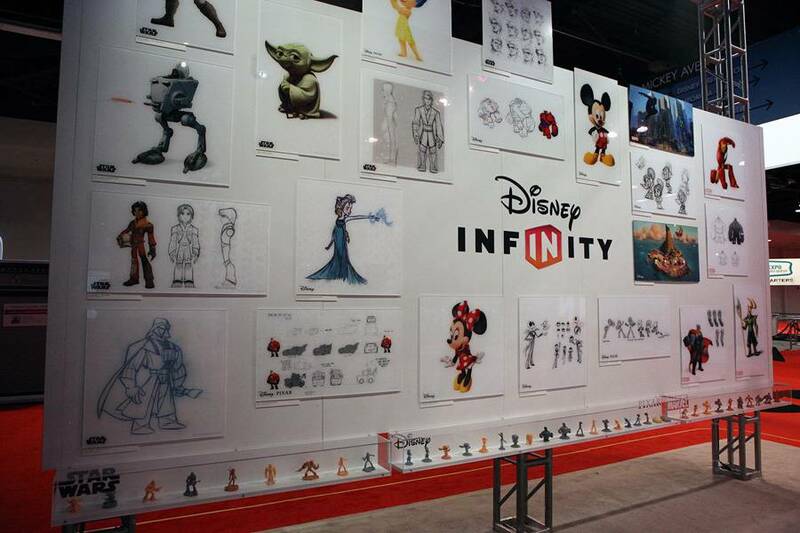 The booth also had “An Art Story” display showing the behind the scenes of making a Disney Infinity figure, not unlike the one at Comic-Con. 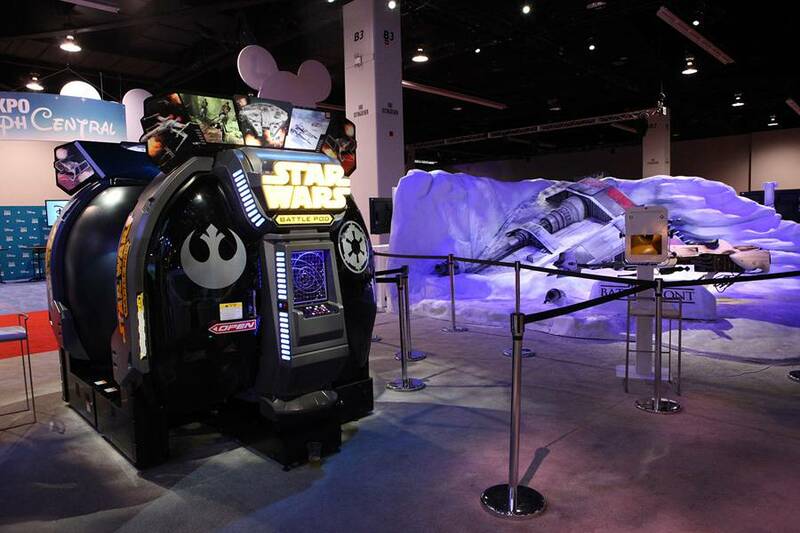 Namco’s Star Wars Battlepod was also available to play, or you could pose for a photo on the Speederbike advertising Star Wars Battlefront, an exciting new game coming later this fall. 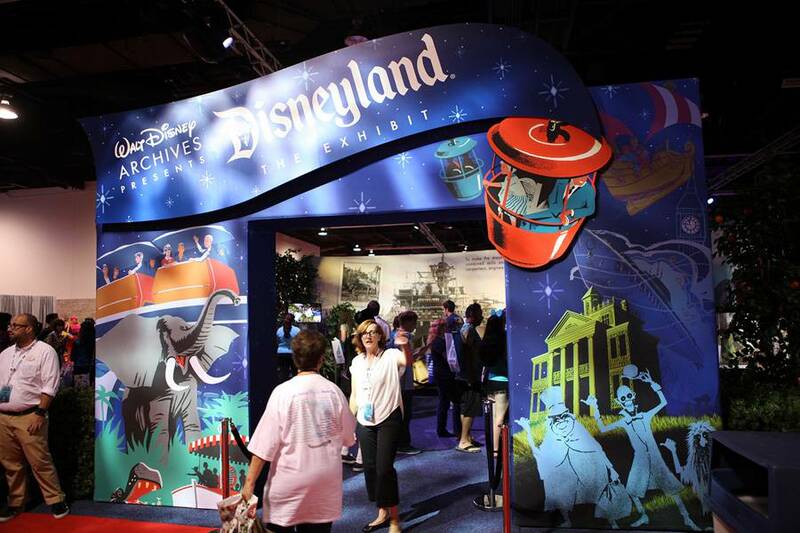 While there wasn’t too much that hasn’t been seen before in the exhibit celebrating 60 years of Disneyland, we were excited to see an old friend again. 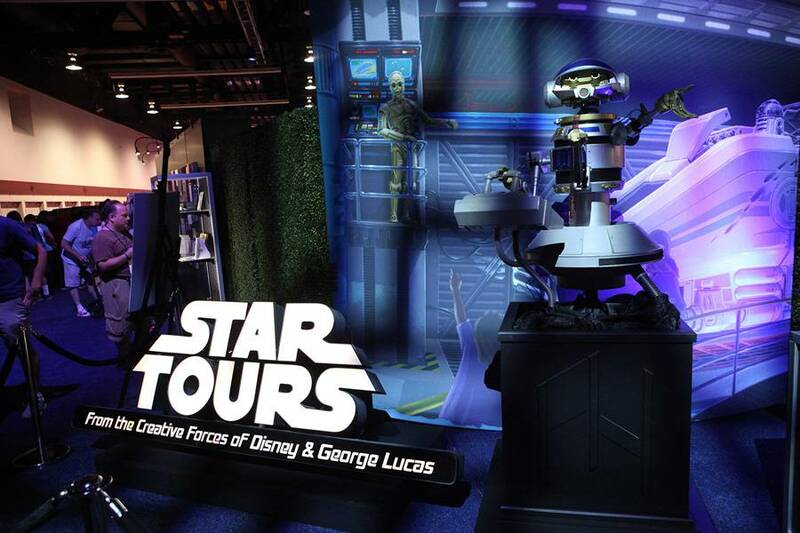 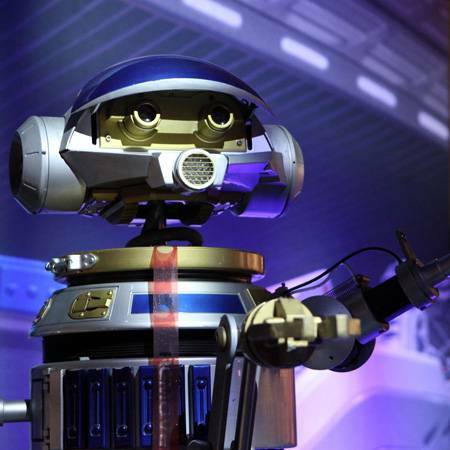 Captain Rex and the old Star Tours marquee were on display! 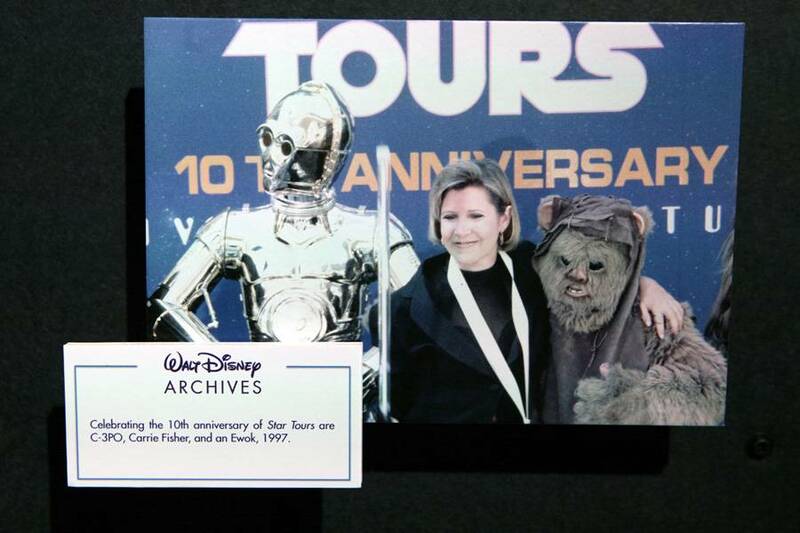 That wasn’t the only thing noteworthy in the exhibit though, we spied a photo of Carrie Fisher and some familiar friends during the 10th anniversary of Star Tours, as well as Steven Spielberg with George Lucas at the opening of Toon Town, and a rare glimpse of Goofy and Michael Jackson. 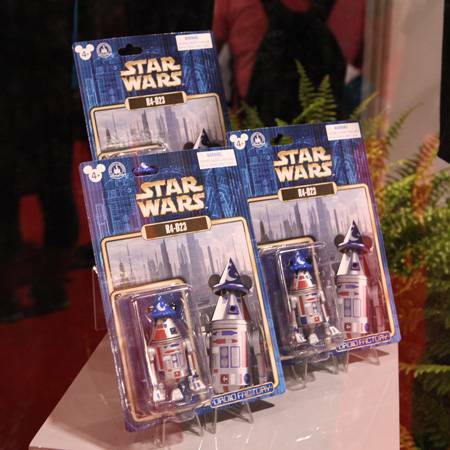 At the D23 Dream Store, there were a few Star Wars goodies to pick up, the Princess Kneesaa Ewok plush as well as the R4-D23 Droid Factory figure. 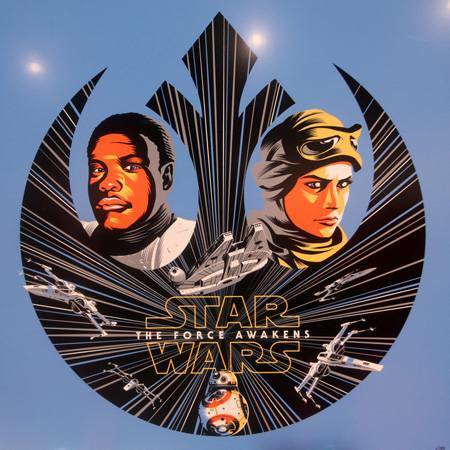 For those looking for The Force Awakens apparel and pins, there were plenty to go around, and 25% of the proceeds went towards UNICEF and Force for Change. 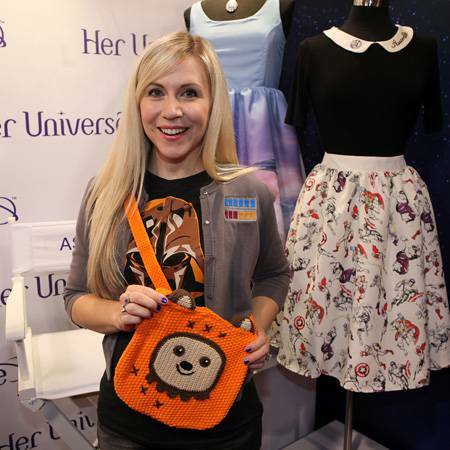 And last but not least, it wouldn’t be a proper convention without Ashley Eckstein from HerUniverse! 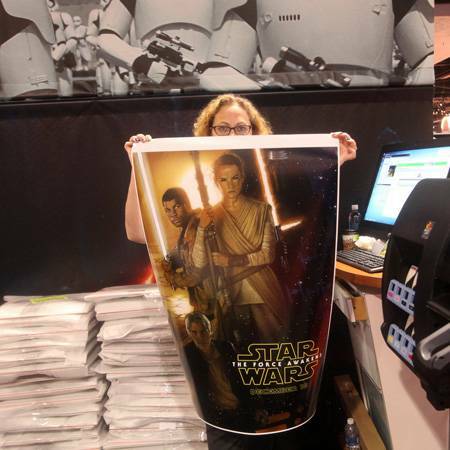 Of course all this was just scratching the surface! 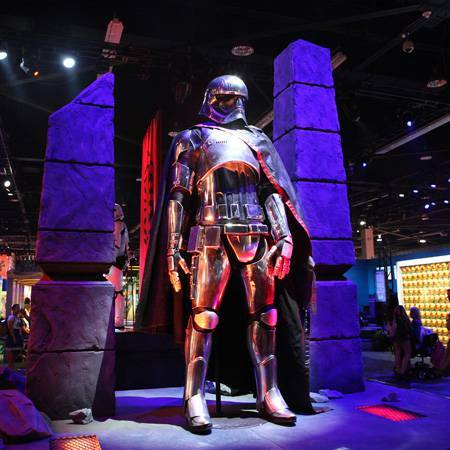 With the new movie news, theme park news, as well as video game news that came out last week. 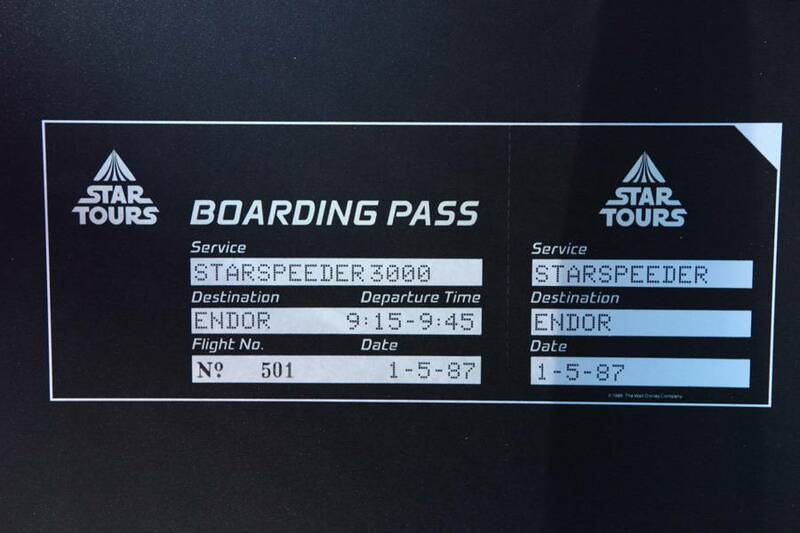 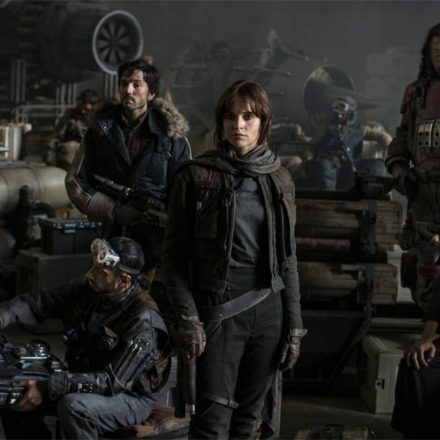 It’s going to be an exciting year for Star Wars fans, that’s for sure! 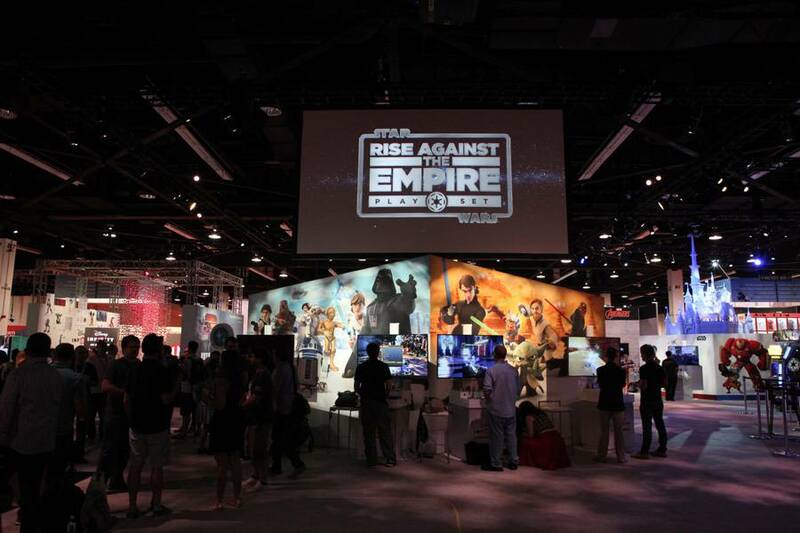 New Star Wars Twilight of the Republic Trailer for Disney Infinity 3.0 Edition!